Hello, my name is Victoria and I am the founder of SAYA Designs. I created the company out of a deep love of nature, a growing awareness of environmental issues, and a desire to create things with a real story to tell. My background is in the visual arts, and I have worked in many jobs across the industry, from auction houses to an adult Steiner schools. Whilst doing so I noticed the value that people place on the things they treasure, and the ability of these things to connect people to wider issues. For me, SAYA is a medium for exploring environmentalism and a way to encourage others to do the same. The seed for SAYA was planted over a year ago, when I left the UK to live and work remotely in Bali, determined to find and pursue a more purposeful career. During my first few months on the island, I became increasingly curious about the environmental issues that surrounded me, and began to explore further. This led me to visit multiple forestry projects, attend sustainability conferences and to sit with local artisans, all in a bid to understand the bigger picture around deforestation. It is an issue with both global and local repercussions, and one that needs a great deal of attention and exposure. So this is what I decided to do. I also started to read and learn about the circular economy, and how it differs from our current Industrial model. I realised that I could start my own business and become part of it, and in doing so generate a positive impact on the issues I had grown to care about. I was so inspired by this idea! At SAYA we take a waste material and turn it into something beautiful and purposeful, while giving back to those dedicated to protecting our planet. 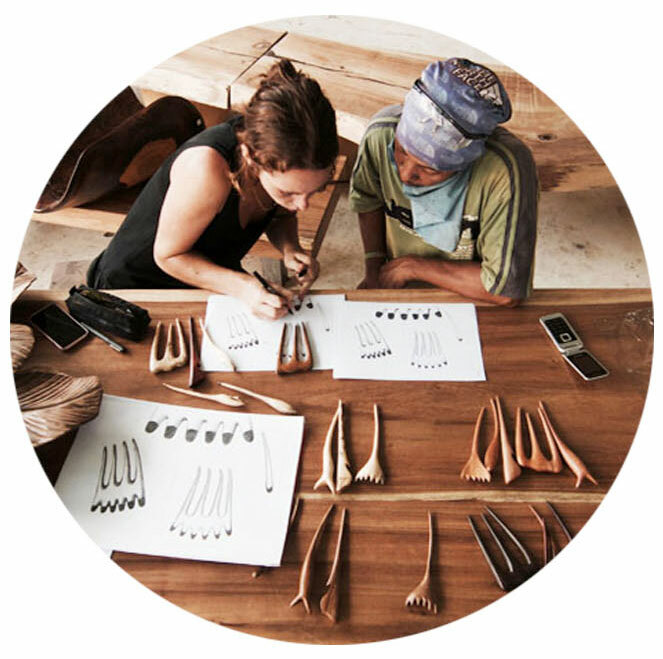 At a time of globalisation, industrialisation, and climate change, being able to put money directly into the pockets of local artisans, to support NGOs, and those going the extra mile to work ethically, is a very powerful thing. I believe we are on the brink of change, and I am personally determined to drive more energy into this change. Through SAYA we want to create excitement around these issues, and invite others to join with us and start taking action themselves. I hope to build SAYA into a platform that stands up for this beautiful planet and its people.